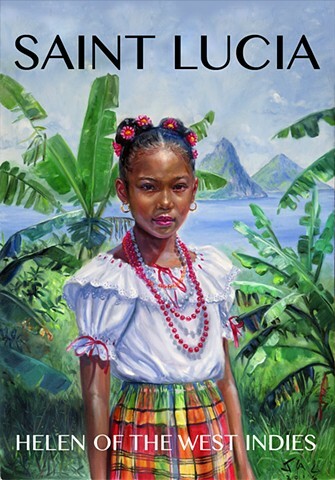 Limited Edition Giclee of Helen of the West Indies. Kejeem with Pitons in background. Printed on ultra premium enhanced matte presentation paper. Clear acrylic sleeve, backing board and certificate of authenticity included. Price includes shipping within the US. 50% proceeds to benefit Girl Guides of Laborie.